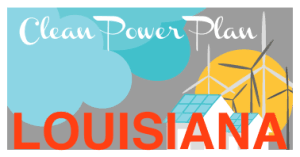 The Alliance teamed up with a coalition of organizations in April to coordinate action for a Clean Power Plan that is right for Louisiana. EPA’s rules on carbon emitted from power plants will make an impact on the way the US generates and uses electricity. Louisiana is well situated to benefit from the plan, by bringing more renewables and energy efficiency online. Check back here for more information! Take a look at the Coordination Meeting Agenda for the Advocates Coordination Meeting, held on April 28, 2016. If you’d like to connect with this group and get involved with future meetings, coordination calls, and development, email info@all4energy.org and we’ll connect you!